Requiem for Immortals is a difficult book to talk about because I want to tell you to just read it. Don’t read anything about it, stop everything in your lives, just buy this book, take it in, then sit and marvel at it. But this is a book review and I suppose that won’t do. Natalya Tsvetnenko is a professional cellist at the top of her game. Regularly requested to fill in by symphonies around the world, she’s poised, beautiful and cold, only moved by her music. What the world doesn’t know, however, is that she’s also Requiem, an assassin who’s regularly hired by all four of Victoria’s rival crime families to mete out poetic punishments for people who cross the line. 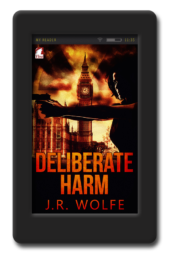 Used to taking contracts to kill the worst of the worst, like a crime boss who trades in underage girls, Requiem doesn’t understand why someone has offered her an exorbitant amount to kill Alison Ryan, an administrative assistant at a local police department. It’s only when she bumps into Ryan at an elite musical engagement that she starts to understand that there may be more to the meek woman than meets the eye. The writing in Requiem for Immortals is gorgeous, somehow managing to be both crisp and luxurious, perfect in not only conveying the story and all necessary information, but informing the tone so that I found my emotions shifting from scene to scene. The plotting is incredible and left me constantly surprised, and the pacing is so tight that it was almost impossible to put down. The character work is divine and is perhaps the strongest element of all with both Natalya and Alison being masterfully drawn, and having arcs that are strong, believable and relatable. I won’t go into anything about the characters themselves because I truly believe the less you know, the better, but I loved both of them and I was happy with where they were by the end. 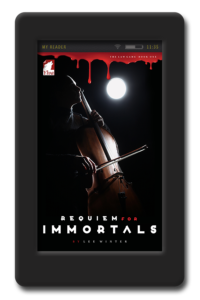 Requiem for Immortals is a thriller and not a romance novel at all, and thank goodness for that. There’s a common idea that all lesbian genre fiction must be romance, and if it’s not, there at least must be a strong romantic thread running throughout. This book defies that standard and is part of a necessary shift in lesfic to offer more to readers. Don’t get me wrong, I love a good romance, and my Goodreads shelves demonstrate that. But if I want to read something from a different genre, it’s a relief to not have to leave lesfic to find it, and Requiem for Immortals perfectly scratches that itch. Anyone who’s talked lesbian fiction with me for more than five minutes knows how much I loved Lee Winter’s debut novel, The Red Files. The story was fun, the dialogue sparkling and specifically attuned to my tastes, and it had one of the best romances I’d read all year even if it’s not a romance novel (yes, fine, I thought it was a romance at first reading even though it’s not–mistakes were made, see last paragraph for why I’d even think that). 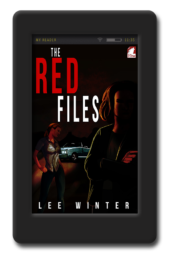 When I heard Lee Winter had a new book coming out this summer I hoped with all my heart that it was a sequel to The Red Files. Not only is Requiem for Immortals not a sequel, but I’m damn glad for it because it’s a perfect book, even better than The Red Files. Buy this book. Buy it now, read it, and tell everyone else to read it. I think you’d be hard pressed to find anything quite like it elsewhere. This is one of the best books I’ve read this year, and possibly one of the best books I’ve read in the last decade. “Requiem” proved to be an unexpectedly exhilarating read, which I enjoyed thoroughly the first go around but much more immensely the second. The initial encounter was focused largely upon Natalya’s character-from the poignancy of the depiction of her musical ability to the conflicted affection that she felt for Lola’s character, she was captivating. Allison’s attractiveness as a literary figure was much more nuanced, requiring of some reflection and the commitment of a much less frenzied reading of the novel to appreciate the depth of her role in the tale and the extent to which her affections toppled an assassin. Oddly, the role played by Natalya in the killer guise was not a morally offensive one for me, due largely to the victimization that she suffered as a young woman and the individuals that she committed to removing from the Victorian crime scene. Her unabashed ownership of that facet of her identity and her refusal to have her behaviors classified and attributed to earlier life events only served to elevate the degree of respect that I had for her character-her sense of justice was a deeply personal facet of her personality and she was undaunted by the judgments of all those around her but Allison. The epilogue was wonderful and left me deeply conflicted about whether or not a sequel would be appropriate…On the one hand, it would be an enjoyable thing to read about the dance that she and Allison would experience in their shared life and recalibration to a state of duality. I could envision the deep satisfaction that Natalya would find in domesticity, which would be forced into conflict with the streak of independence/self-isolation that she imposed on herself with both career choices. However, one book and the act of imagining the contents of another holds its own attraction. Whatever Lee Winter decides, I will welcome, as she is officially a must read for me now. Very seldom does a book come along that actually proves me wrong based off an original assumption. I stand corrected because; Requiem for Immortals is one of those books. I am accustomed to lots of “fluff” in my lesbian fiction. I rarely like veering out of my “lesfic reading comfort zone.” I’m SO accustomed that I’ll admit to dismissing a book here and there, or avoiding all together those books that I assume, or I just know, won’t have the typical rosy happy ending. With this book, I pushed past what my usual expectations were, and just jumped right in. I don’t regret a single minute or the hours I spent getting completely pulled in to this story. If this book was the author’s first attempt at writing lesbian fiction, I say BRAVO! This writer CAN write very well. I can tell she is intelligent, funny, thoughtful, and likely has no fear of going to the “dark side” when necessary to get all the grit you need to bring a book like this to life. I really enjoyed reading about the complexities of Natalya/Requiem our extremely talented Cello playing assassin. She kicked a**! Every single scene she was in was on fire! She has such strength, and fierceness that I envied. Yet, she possessed vulnerability when she made her cello make beautiful music. Alison/Emily surprised me too. She wasn’t so innocent, and I loved watching her come into her own. I saw so much of myself in Emily, and I rooted for her throughout the book even though I understood why Natalya had to be as tough as she was, I respected this character, and let me tell you dear reader, I have RARELY found a character in a lesbian fiction story that I can honestly say I respected. The action was spot on, humor was timed and where it should be. Even though the sexual scenes were more raw and rough that what I would usually like to read, it fits for this book. It actually couldn’t be any other way but the way it was. I’m so glad I gave this book a try. I honestly believe that anyone interested in reading lesbian fiction with a bit more edge should pick this one up. Natalya Tsvetnenko is one character in a million. It’s so different to be refreshing. She could be compared somehow to Stieg Larsson’s Lisbeth Salander (another one character in a million), as she is violent, genial, disturbed but with a heart. But she is not a hacker. Her life is not a mess. “By day” she is Natalya, a brilliant, internationally renowned celloist, great lover of classic music, but secretly she is also Requiem, the most dangerous, efficient assassin of the Australian Continent, a vindictive angel who adds a touch of distinctiveness to every murder she commits. Natalya/Requiem is a kind of double personality, even if there is merging between the two. Her “leit-motiv” is power, order and control. Her only release is her music. Otherwise she is ethereal, cold. Hired by criminals, she is used to kill criminals, the worst ones, the most vicious, the most dangerous, dispensing her ruthless justice with a sense of exhilaration. Can those strange, new, growing feelings really tame the great Requiem? The story is both a crime and a romance. It’s a very good, solid crime, full of action and gruesome assassinations, in the underground world of crime families war and there’s the mistery of the innocent woman targeted to be killed. As a romance I’d define it as a “defrosting ice queen” kind (a genre I have a thing for), but brought to the extreme, as here the “queen” is really, really dark, almost black. Also, gradually, we get to discover the story of Natalya and why and how she was transformed into Requiem. Now let’s say it: how cool is all that? Wow! This book had me gripped from the start and I felt a depth of emotion from the characters that truly made me gasp. Lee Winter has a way with words that pulls the reader into her world and doesn’t let go until every ounce of feeling has been teased from them. Natalya/Requiem is a complex character living two lives, one as a classical musician and the other as Australia’s No 1 assassin. She has been able to keep her emotions constrained for years and I could see why that was so necessary, given her second job. Once Alison enters her sphere that is no longer possible, even though she denies to herself and others that anything has changed. The internal conflict Natalya feels is immense and I know which way I wanted her to go. Alison has an influence on her that goes beyond anything she has ever had to face. I don’t want to give away any more of the story as the revelations need to hit the reader smack in the face and have an emotional punch that they won’t forget in a hurry. This is one helluva book and well worth 5 stars and more. Wow this book blew me away. It was recommended by several of my friends on Goodreads and as usually I wasn’t let down. It had a bit of everything but what I liked the most was the main character. Winter made no excuses for her arrogance nor her flawed personality. Requiem was everything I would want in the hero of the story even with her being an assassin. As you can probably guess she meets her soul mate. But what was really refreshing was she didn’t charge or try to be nicer. She was just Requiem. No apologies, no excuses. This is an excellent psychological thriller that would not look out of place in the main stream books. There are twists and turns galore and you honestly can’t get enough of it. The only down side to this book was that it ended. I would definitely recommend this book. The book is excellent and fully deserves my 5 stars. Requiem is the ultimate ice queen. She is determined to control everything in her world. And when she can’t then things begin to fall apart. This thriller will have you staying up late to read as you follow Requiem and Alison through a story that will not only change their lives but yours as well. Do yourself a favor and pick it up. Right. Now. 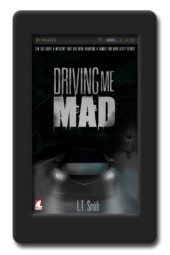 This is a cleverly written book, the writing is crisp and clear, the characters are intriguing and well-written. Lee Winter is an extraordinary writer of complex and complicated plots, and this story is a fine example of some of her best work. Not everyone could make a cold-blooded assassin into a heroine that readers will cheer for. She made her human, not an easy feat. I finished the story wanting to know more about the characters and what happened to them in the future. 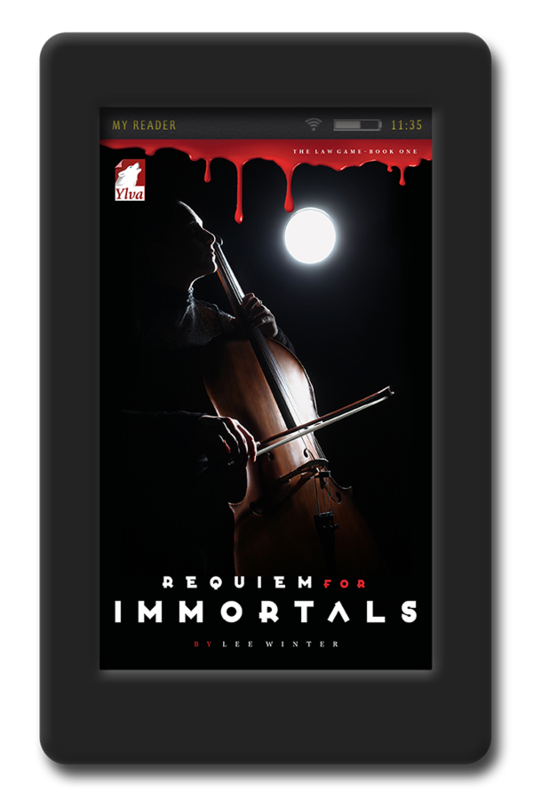 Have you read Lee Winter’s “Requiem For Immortals?” If not, why not? What can I say about this book except….it’s only BLOODY MARVELLOUS, that’s what! It’s prolly one of the best stories I’ve read thusfar because the plot is so uniquely original, it’s a dark, intense, cat-and-mouse romance, action-thriller masterpiece. A brilliant cellist by day, ruthless, lethal assassin by night. And a lesbian at that, too! Playing cat-n-mouse with a copper! Sparks fly! Who doesn’t love that, eh? It’s a compelling, fun page-turner. One of me favourites, obviously because….Lee Winter, one of me favourite authors! I was absolutely enthralled by the cat-and-mouse game between Natalya & Alison. Natalya aka Requiem, grew up being groomed as a cold, heartless assassin, bound by her duty. She couldn’t believe she was developing real feelings for her mark, even when it was staring right in front of her! It was all so new to her – these mushy feelings! The more she tried to ignore it, the more she was drawn to Alison. I adored Alison. She was so down-to-earth, unassuming, timid, seemingly passive. So much so that Natalya nicknamed her Mouse! And then…..BAMMM!!! Whoa! BLOODY BRILLIANT!!!! Suddenly Natalya was taken off-guard! Alison truly gave her a run for her money. FCK YEH!!! What a kick-arse pair!!! They are one of my all-time favourite couples!! Another gift I received from this incredible book was the hauntingly beautiful, deeply serenading sounds of the cello every time Natalya was depicted as playing it. Music was her only drug, refuge, her inner-sanctum, the only way she could fully express herself when words were absent. Her cello was her emotional protector; the music flowing out of her through the bowing of those dramatic strings was her language, her speech. Coincidentally, Alison also played….the ! I was literally jumping with joy out of sheer excitement in discovering that both of these amazingly complex women who I played music – string instruments!! FCK YEH! The music was so deftly described in richly emotional & absorbing words I could literally hear it as I was reading it. Utterly SUBLIME. That. Is. All. Oh, the chemistry between Natalya & Alison was undeniably, heart-stoppingly HOT! SIZZLING! Phew! Their romance was seductive. Their movements were like a dance. Very cat-like. The push. The pull. It was all very addictive I was utterly mesmerised. Bewitched. I wanted more. The action, the thriller, the cat-and-mouse game – THRILLS!!!! Requiem’s cool, lethal hand-to-hand combat moves were nothing short of mesmerising!! FAN-BLOODY-TASTIC! I can go on and on about this but I’ll let you read and judge for yourselves.. This is simply a MUST-READ. I can’t recommend it enthusiastically enough! 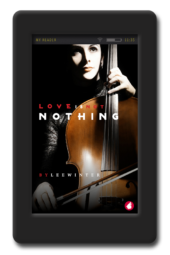 AND – after this book, you simply MUST read it’s mini-sequel, “Love Is Not Nothing,” especially if you wanna find out more about Natalya & Alison after “Requiem” and why the sequel has that title.